Malta continues to “systematically discriminate” against non-religious people, according to a report by the International Humanist and Ethical Union. The annual state-by-state ‘Freedom of Thought’ report grades countries on a five-point scale from “free and equal” to “grave violations” on the basis of their treatment of atheists, agnostics and humanists. 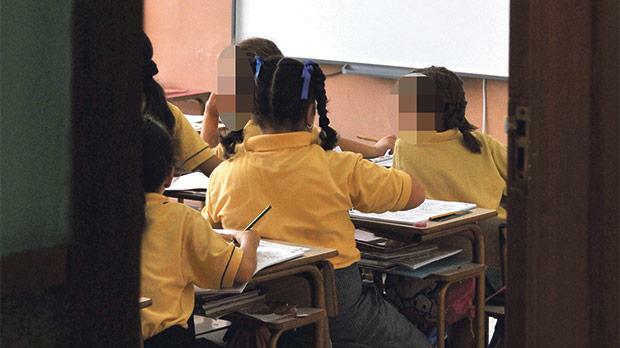 Malta's ranking this year – third of the five categories – is an improvement on the “severe discrimination” registered last year, following the repeal of the law against religious vilification last July. Nevertheless, the report, mentions State funding of religious schools and schools’ power to discriminate in employment, religious control of some public or social services, discriminatory prominence given to religious bodies and traditions and the existence of an official State religion as examples of the systematic preference against non-religious people. The study also notes that State schools are often operated as de facto Catholic schools in terms of their ethos and curriculum despite the introduction of ethics classes in some schools two years ago as an alternative to religious education. Across the EU, seven countries – Italy, Greece, Germany, Poland, Hungary, Croatia and Denmark – were found to have “severe discrimination” while the vast majority showed “systematic discrimination”, according to the report. Only Estonia, Belgium and the Netherlands were found to be “free and equal” while France and Slovenia were considered “mostly satisfactory”. Some 4.5 per cent of Maltese respondents said they did not believe in a god in a Malta Today survey last March, almost twice as many as in a similar survey six years ago, making atheists the second largest belief group in Malta, albeit still lagging far behind other European countries. Nevertheless, one in four Maltese people would not be comfortable working with an atheist colleague, according to a 2015 Eurobarometer report. In his foreword to this year’s edition of the ‘Freedom of Thought’ report, UN Special Rapporteur on Freedom of Religion or Belief, Ahmed Shaheed, said religious freedom was often wrongly defined to ignore the freedom of thought and conscience, protected on an equal footing under international human rights law. “Freedom of religion or belief protects individuals who adhere to traditional as well as new religions and those who are dissenters or who subscribe to no religion or belief at all or who are unconcerned,” Dr Shaheed said. “International human rights law protects both the freedom of religion and its corollary, the freedom from religion, for, without the latter, the former has no practical meaning at all,” he noted. IHEU president Andrew Copson said the rights and equality of the non-religious were under threat around the world, accompanied by an upsurge in the suppression of humanist values more broadly. “It is impossible to look at discrimination and persecution against the non-religious without also considering how human rights and democratic principles are upheld for everyone and at the wider social and political contexts in which competing norms and values are clashing,” he said.